PNPs are set up to let Canadian provinces nominate individuals that want to immigrate to Canada. Each province and territory (except Quebec) has its own “streams” and criteria for their PNP. 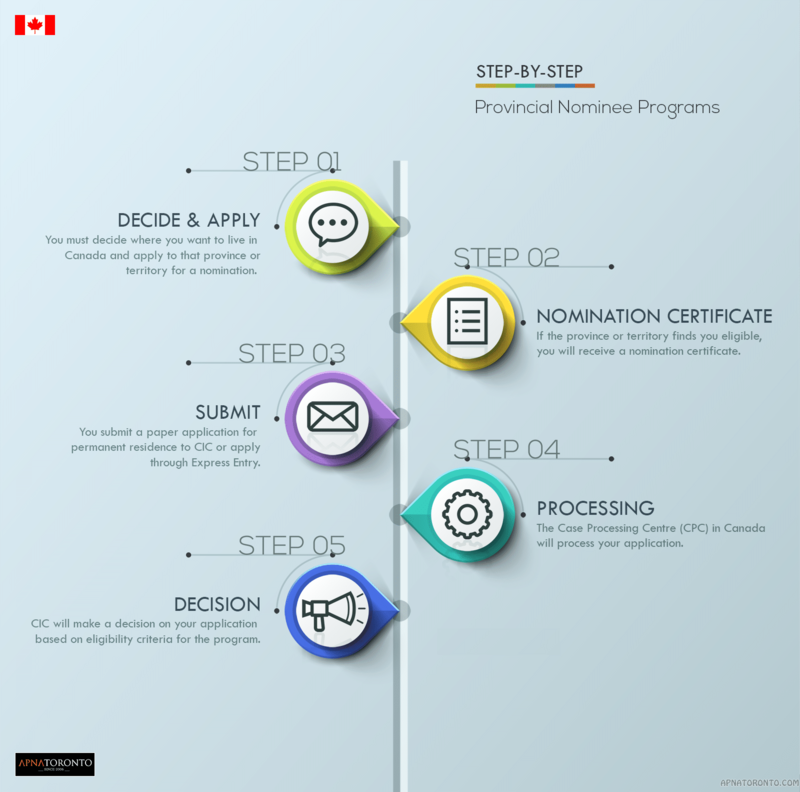 The candidates selected through Express Entry Provincial Nominee Programs must show intent to reside in the province that has nominated them. This infographic below will solve your problem by giving the simplest answer for the question: How Provincial Nominee Programs works.